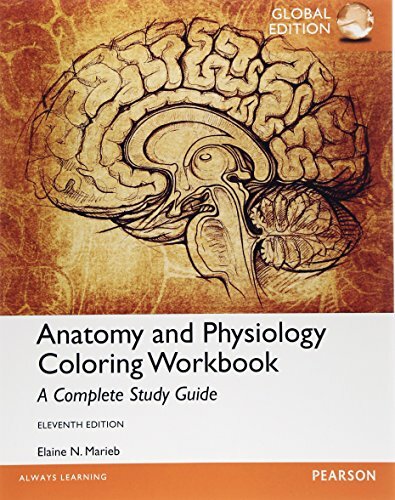 As an incredibly engaging study guide that can be used either independently or in conjunction with any A&P book, the Anatomy and Physiology Coloring Workbook helps you get the most out of your A&P classes. Dr. Elaine Marieb thoughtfully crafted the text to include a wide range of coloring activities and self-assessments. You can benefit from updated “At the Clinic” questions, a new major tissue figure, and updated terminology. Moreover, the text’s “Incredible Journey” visualization exercises take you on an exciting adventure through the human body. Each step you take leads you into an amazing world where they can learn more about anatomical structures and physiological functions. Elaine N. Marieb was a college teacher when she went back to school for an R. N. degree and an M. S. in gerontological nursing. She is Professor Emeritus of biology at Holyoke Community College in Holyoke, Massachusetts and Visiting Professor at Edison Community College in Fort Myers, Florida. Her book, Human Anatomy and Physiology, is part of the Benjamin/Cummings Series in the Life Sciences.